If you’ve read my blog before you’ll probably know that I’m a huge lover of all things insect-related, and people often ask me why. Well this month saw David Attenborough explaining a little bit about why the insect world is so utterly fascinating in a new documentary called ‘David Attenborough and the Empire of the Ants’. Filmed in the Swiss Jura Mountains, Attenborough delved into the intricate details of these tiny little insects, and the absolute wonders that are their daily lives. 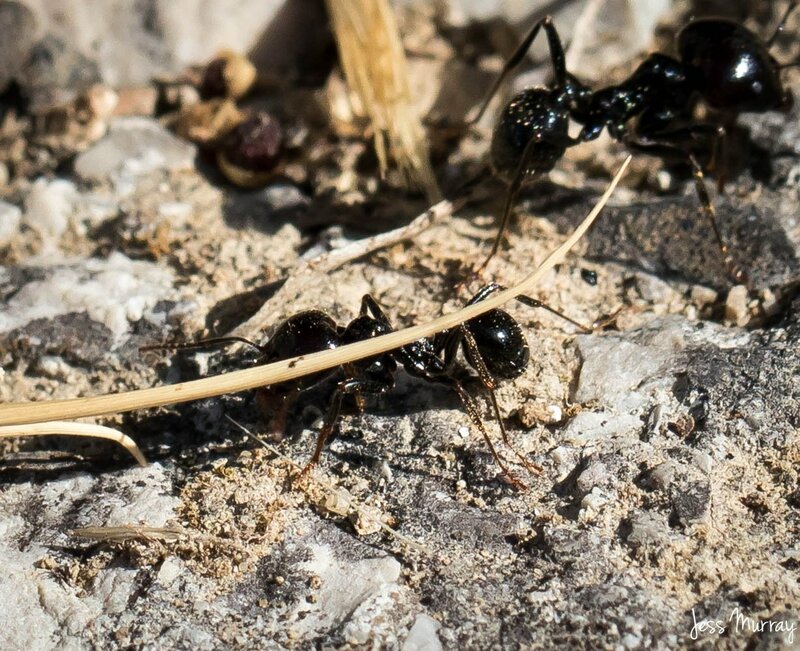 Despite ants being perhaps the insect that we most commonly see, scientists are still discovering incredible things about them, including how they are able to survive in the freezing Jurassic winter of the alps. As shown in the show, we now know that they are specially adapted to these temperatures due to their own internal heating system which prevents them from freezing. Following a winter underground, they emerge up to the top soil for spring and gather their heat from the sun for 1-2 days at the beginning of the season. As well as gathering warmth, it’s also been found that the UV rays from the sun can actually cure them from any fungal diseases that they have incurred during their hibernation period. How incredible is that?! If you’ve ever seen one ant stand out from the rest due to her huge size in comparison, chances are you’ve met the queen of the colony. Although the queen will stand out from her workers, as she is twice the size of them, seeing the queen exposed is very rare as she’s very vulnerable outside the nest, and after just a few moments of revelling in the sun’s warmth she’ll quickly head back underground until the following year. The queen will prepare for egg-laying in early April. Just two months later her first batch of eggs will emerge and these will always be the queens and males, both of whom will have wings. They hatch in June as they need heat to be able to emerge, and will use their bodies as solar panels when they harvest the sunlight of summer. When the ants emerge after a winter of hibernation, territories of the different families of ants can often become blurred. So imagine this – an ant emerges from months of being underground, he comes up for sunlight and becomes a little disorientated. 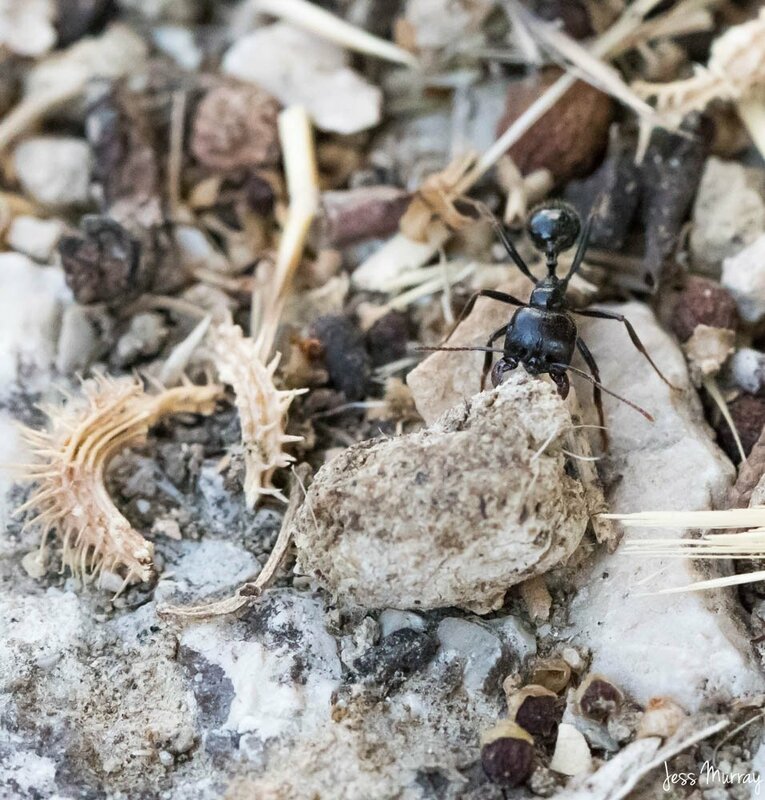 In his dazed but curious state, he bumps into another ant whilst foraging, but immediately realises that this ant is from a different family and is therefore the enemy. He then hastily rushes back to his nest to alert the rest of his troop that there is an intruder nearby, and promptly gathers his army who then assemble to await the return of this opponent. A fight will then breakout, whereby the opposition ants bite their enemy before spraying a chemical formic acid out of their abdomen and into the wounds where, if aimed precisely, will begin to dissolve the ant’s organs. The triumphing ant will then begin to bite the other’s antenna and tug viciously at its limbs, calling for back-up as seven ants take on one, grabbing at each leg, with the remaining ant using its mandibles to cut the exoskeleton to expose the inside of the victim to squirt yet more acid. It can be confusing to know which ant is friend or foe during these intense wars, so the ants will touch each other’s antenna to confirm who is family by identifying the unique smell of acid. These wars can be brutal and can continue for over a week, with thousands of ants competing against one another. But the victory is sweet as they gain a larger territory and even take the bodies of the dead and wounded back to their nest to devour. As the ants descend back into their nests they will begin hibernation before the entire process will begin again when the season is right. Ants, and in fact all insects, lead intricate lives that we are yet to discover the full complexities of. But what we do know for sure is that insects are crucial to the survival of our own species, and indeed the entire planet, which is why it’s important to protect them. Don’t use pesticides. These harm all insects as well as any other animals that may feed on the plants or insects. Thank you Jess for all your insight and research. Very helpful and fascinating!